Kitimat, British Columbia, was the second community Chinook called home. Having operated in Kitimat for just over twenty years, Chinook has stuck with the community and people of Kitimat through the good times and the bad. 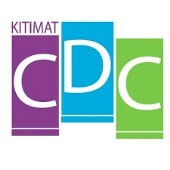 Chinook Kitimat prides itself on having and keeping locals employed, most of which were born and raised in the area. Chinook takes the time to extend beyond business and sees great potential in longevity and commitment. Chinook’s Kitimat Branch serves Kitimat, through to Terrace, Prince Rupert, Hazelton, Stewart and Smithers. Currently this branch is involved with the Rio Tinto Alcan Kitimat Modernization Project as well as others directly for the RTA. The Ridley Terminal expansion in Prince Rupert, as well as various BC Hydro projects in the northwest area are also on the project list.